Couch multiplayer is a dying art form. History will rightfully bash the Wii’s lack of a viable online service but one of the few upsides of this shortcoming is that it continues to bring friends together around a single screen to share something no amount of headsets and Internet connections can compare. What’s a deadly blue shell worth if you can’t watch the reaction as it slams into its recipient’s tailpipe, or revelling in a victorious defeat after a lengthy 99-stock slog on Super Smash Bros. Brawl? Virtual board game Boom Street is one such treasure that despite supporting online play is best enjoyed in the company of budding tycoons sat around watching a friend’s empire burns to the ground in your living room. Boom Street has been entertaining Japanese audiences for the last 20 years under the name Itadaki Street and makes its western debut in this Super Mario/Dragon Quest blended flavour. The roll of the dice determines your movement around intricate boards, collecting suits to earn cash-injected promotions, snapping up chance cards that could tip the scales in and out of your favour – the fundamentals share much in common with Monopoly but Boom Street offers more depths to those looking for it. The game is split into two modes: standard and easy. The latter encompasses all of the above in a neat family-friendly package. The bar of entry is lowered considerably when weighed against standard mode which adheres to 20-years of tried-and-true traditions. 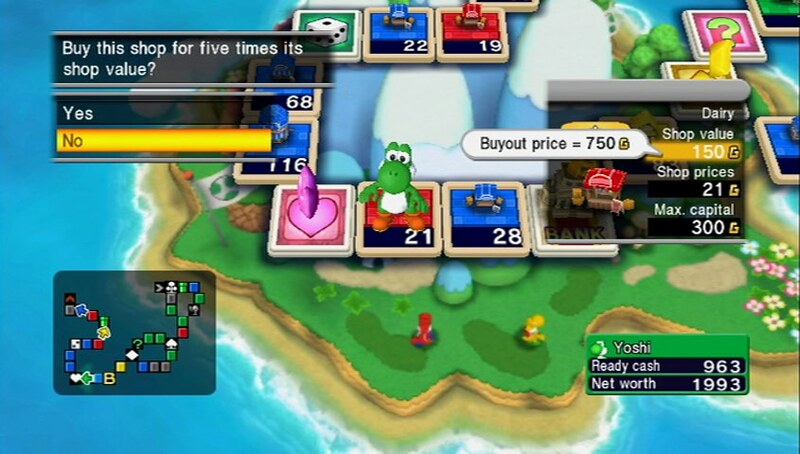 Stock markets allow players to invest in any of the board’s districts and earn a little extra off another’s business. 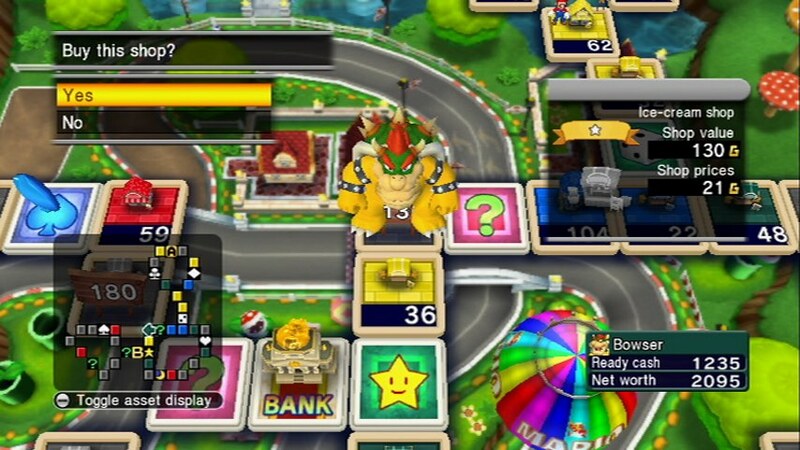 Similarly, buying land to build your own choice of business can have an interesting effect on the game, turning squares into toll booths and other money traps. The competitive edge comes from chaining strings of property causing their values to skyrocket. Buying up available spots is a top priority as does investing back into them ensuring that any buyouts do not come with a cheap price tag. It requires a significant learning curve: following trends and economics, deeply routed fundamentals that would sink a physical board game for all the calculations involved in a single move. Those drawn in by the familiar faces on the box may also find themselves in the deep end. 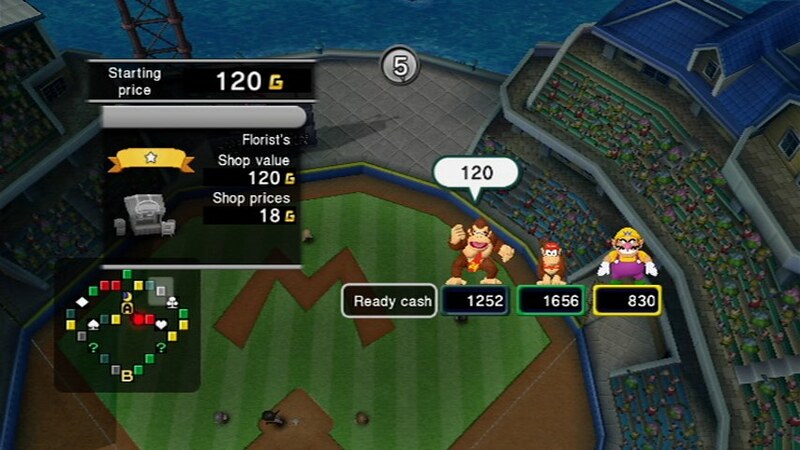 Those expecting Mario Party fashioned mini-games will find Boom Street something of a party pooper. What they will get however is 25 years of source material put to good use. 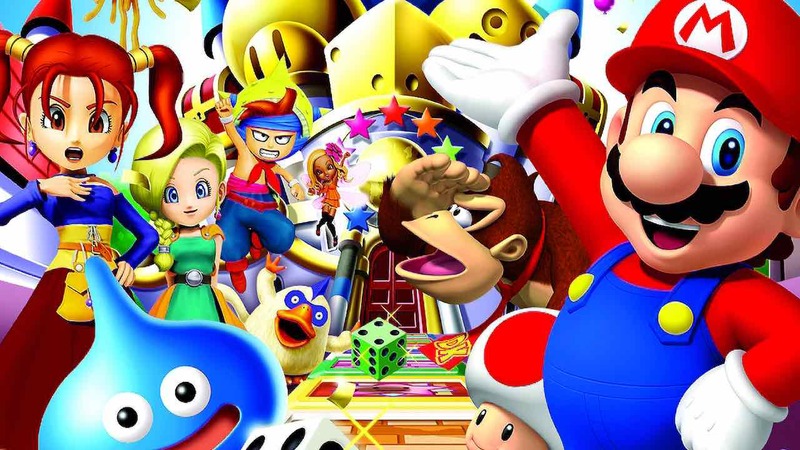 Old stomping grounds like Peach’s Castle, Delfino Plaza, and the Mario Head Galaxy have been transformed into boards whereas the Dragon Quest offering is unlikely to strike the same chord as Nintendo’s portly plumber and co. 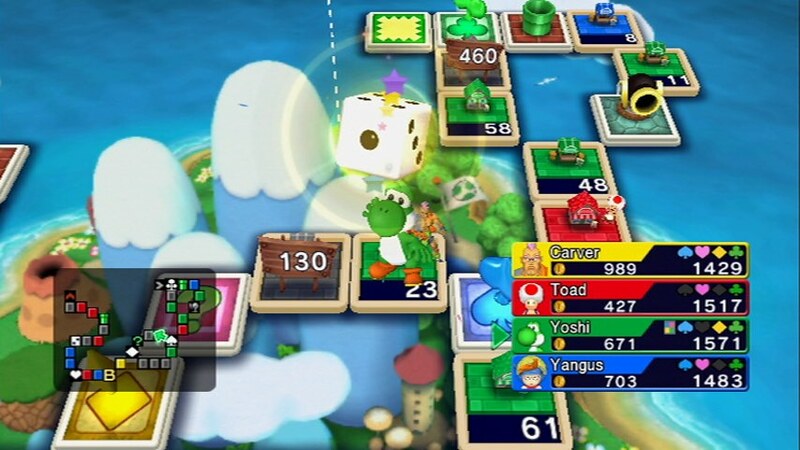 They provide the inspiration for a variety of curiously designed boards, creations with warp squares and switches that fragment the entire board causing players to seek new paths back to the bank. What makes Boom Street so compelling is ultimately one of its weaknesses. It’s a game best enjoyed with like-minded friends willing to sink entire evenings into just one game. Lone tycoons need not apply. Despite a hefty suite of single-player activities from tours, personalising your Mii entrepreneur, and competition waiting at the other end of a Nintendo Wi-Fi connection, Boom Street‘s gibbering AI will do little to convince newcomers of its finer delicacies. It’s a passage you should only endure if you wish to unlock additional boards, characters and other cosmetic extras. Mario Kart, Super Smash Bros, and others can be enjoyed alone but are better with friends, Boom Street hinges on the latter almost entirely. Finding friends to enjoy the easy rules won’t be hard but convincing them to go the full hog will require some added time. It won’t be to everyone’s tastes but as time-intensive it is, there’s something just as rewarding waiting at the end of every four-hour match. As the final bastion of couch multiplayer, Boom Street will find a comfy spot among the Wii’s strongest multiplayer offerings.